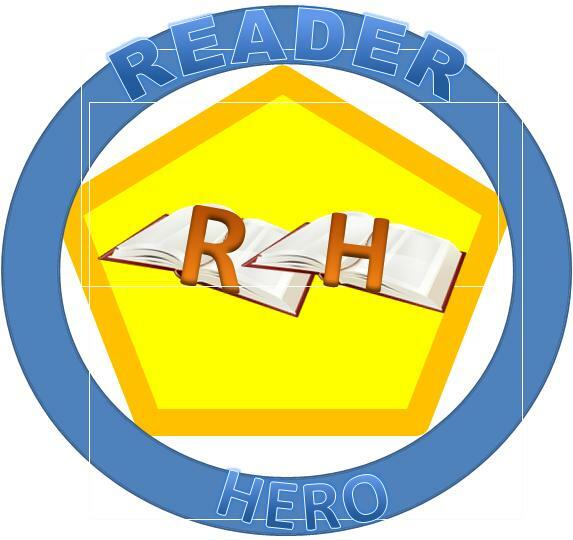 Tyler Weaver was named our ILMK Reader Hero #2 on August 24th. A long-sleeved t-shirt with the above design is on its way to Tyler at this time. Congratulations again to Tyler whose dedication to reading can give us all hope for the future. To summarize, Tyler had been winning the local library’s summer reading contest for years. The Library Director, Marie Gandron, essentially asked Tyler to stop competing, and was planning to convert the event from a competition to a random draw. Lita Casey, a Librarian Aide, expressed concerns about the decision, indicating a feeling that changing the rules would not encourage reading in children. Following that, Casey was terminated. It is easy to imagine the impact this might have on Tyler, a nine-year old who called Lita “Gram”. At nine, many people begin to understand the impact of their actions on the world, and can judge cause and effect based on what they do and who they are very strongly. I’m hoping that the small gift of the t-shirt helps Tyler feel good about being a Reader Hero. where you can express your support for Tyler. Please consider doing so…I think the best thing in this case is to emphasize the positive. Well, they are cheaper because the advertisers help subsidize the cost of your device. I often see people express it as “buying out of the ads”, but really, the first one with ads lowered the price…it isn’t that not having ads raises the price. Whoops, I’m back to that positive/negative thing again. 😉 The standard price is without Special Offers, and with Special Offers is a discounted price. However, I do think some people like seeing some of the ads. For example, there is an offer right now that lets you get up to thirty Kindle books for $1 each. There are books in the Muirwood series by Jeff Wheeler, and other authors include Lee Goldberg, Scott Nicholson, and L. J. Sellers. It looks to me like the non-Special Offer prices go as high a $4.99. If you have a Special Offers Kindle, it should appear eventually on your screen, or you can check the Offers listed on your device. On a non-Fire Kindle, check Home-Menu. On a Fire, swipe to your left on the homescreen. What happens if you don’t have a Special Offers Kindle? I am a member of AmazonLocal (it’s free), but weirdly, I didn’t see this deal when I looked on the national page, or at Amazon. I wrote yesterday about a new version of the Kindle for iOS (mobile Apple devices) app, which includes Collections (a way to create categories of e-books on your device). I wasn’t surprised to see people who don’t have an iOS device express concerns that Apple products got this highly-desired improvement before Amazon’s own device, the Kindle Fire. I was a tad surprised to see the name-calling about those Apple devices from some quarters, but that happens. I think in this case that it came to iOS first partially because iOS was getting a big software update (and new devices), so it makes sense that resources were being applied to that segment. More interesting to me was people who did get it saying that it showed them Collections from all of their devices as options…even ones they were no longer using. That is what you would see if you went to import another device’s collections on your non-Kindle Fire, but it is interesting that it worked that way in an app. That would be the kind of software innovation I was picturing possibly happening this year…although it sounds like Page Flip (the ability to look ahead in the book without actually going there may be pretty cool). Speaking of MYK, here’s something that seems to me to be more challenging than it was before. we would see them all on the page, sort of like search results on Amazon. Now, they are in a stripe at the top, and you have to use a chevron (like an arrow without the stick), at least on a PC, to jump through, six devices/apps at a time. We have thirty apps and devices currently registered, and this seems harder. When you do click, the screen seems quite bare…a lot of white space…and doesn’t seem as intuitive. I thought maybe it was done to be more mobile friendly, so I visited MYK in my Maxthon browser on my Kindle Fire. I couldn’t swipe the stripe to see more devices/apps…I still had to tap the chevron. By the way, one reason we have so many apps/devices (there is no limit to the number you can have registered to your account) is that there are many duplicates for some of the apps…for example, even though I only have it on one PC, there are several installations. I think that happens when the app updates. I’ll go through at some point and remove the clones. What I’ll do is rename them at MYK so I can tell which one is which on my device, and then deregister the ones I don’t need. I’m having quite a bit of fun creating my Collections on Amazon.com. I’m being careful not to prioritize it too much, and the build up is slow. However, I am, I think, making them pretty interesting…I’m writing an overall description, and descriptions for each item (although I am sometimes adding items and then adding the descriptions later. Anyway, I’ve been communicating with Amazon some on this. It’s clearly just getting going, and they are looking for input. As someone who has taught Project Management, I know you have the most opportunity to shape the future of something in the beginning of it. Amazon has recently added a new feature which allows customers to create public Collections of purchasable items (movies, books, music, apps, and more) that can be viewed by other visitors to Amazon.com. You can name the Collections, add items to them, and describe both the Collection and each individual item. As an Associate, you’ll want to know if having the Collections is resulting in any more advertising fees for you. Since the Collections are on Amazon, your direct product links won’t generate any advertising revenue for you there. However, you can link to your Collections page from your website or blog, just as you would with any other page link. In order to know how that is impacting your advertising fees, you’ll need to create a separate Tracking ID, and use that for your Collections link. First, log into your Associates site. This is where you’ll create the Tracking ID for your Collections link. You’ll need something no one else has used yet: you might want to use your initials or name and “collections” (for example, Jeff Bezos might use jbcollections or bezoscollections). What you use is up to you, but it can’t duplicate what someone else has already chosen. If the one you pick is available, you will get a “Congratulations” message, and a button that will return you to your list of Tracking IDs. in your top left corner of the screen. in your top left corner of the input box which has appeared, use the dropdown to select the Tracking ID you just created. You can use the link which will be created for you on your website or blog, and when people click or tap it and make a qualifying purchase, you’ll get your advertising fees. That will show you how much each of your Tracking IDs has earned. If you want to have more granularity (“Did the link on my sidebar generate more interest than the link in my post?”) you can create a separate Tracking ID for each channel you want to analyze. You can use Tracking IDs for a number of purposes (tracking a specific webpage or promotion you’ve done, for example), and this one will show how much having those Amazon Collections is helping you. If you aren’t an Associate, it can be fun just to create the Collections, of course. I do think Amazon will eventually announce this (before the holiday buying season, and that it could be a big deal. What do you think? How do you feel when somebody else gets something you don’t get? Should Amazon always bring things to the Fire before they bring them to the iPad? What would you think if it turned out that the Special Offers you were getting on your Kindle were also available to AmazonLocal members? Would you feel like you were looking at ads without getting an advantage? Have you created any Collections on Amazon? Feel free to let me and my readers know by commenting on this post. Also, I would appreciate you considering responding to the poll for Tyler Weaver…up to you, of course, but I do think it could have a positive impact.